Invoices are one form of document that most companies deal with on a daily basis. In paper form, these documents can pile up. Depending on how big the company is, these invoices can fill filing cabinets, boxes and folders around the office, or even need to be stored in expensive, offsite document storage facilities. Storage costs and retrieval times can rack up so is there a more productive solution? Our professional scanning services that capture the data from each individual invoice. What are invoice data capture services and how does it work? Put simply, invoice data capture service is the process of scanning your invoices and accurately capturing the data contained in them. The process is simple when you outsource the services but the benefits can be endless. Your company can run more smoothly and save costs at the same time. It isn’t often you find a time saving, cost effective, efficiency boosting solution all rolled into one but invoice processing and invoice scanning offers just that. 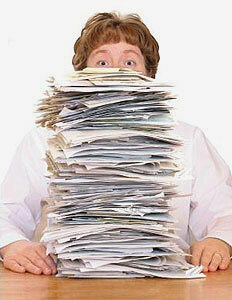 Scanning invoices can help you get all of your invoices, accounts payable etc. fully digitised so they can be placed onto a digital document management system. From this system, they can be accessed at the click of a button and shared just as quickly with colleagues and anyone else who needs access to them. Despite how the easy access and sharing, this doesn’t mean that just anyone can view your documents. They can be encrypted and password protected for security and peace of mind. Also, by outsourcing your data capture services to a full cycle document scanning company like Pearl Scan, you don’t need to worry about the project and your documents as they will be taken care of from collection right down to the returning or shredding and disposal of documents. Who can benefit from invoice data capture and invoice processing? As I have already mentioned, most companies deal with invoices on a daily basis and having them digitised rather than incurring high storage costs could benefit them greatly. If your company is full of filing cabinets, boxes and folders filled with invoices, invoice scanning can reduce the clutter and free up some potentially much needed space in the office. Alternatively, if you store invoices in off-site document storage facilities, you can banish those extortionate costs and access your documents without having to request them or pay for the privilege of viewing your own files. Paying to view your own files doesn’t make sense. Invoice scanning and invoice data capture does. Discover more information and the advantages of invoice scanning and processing by getting in contact with us.